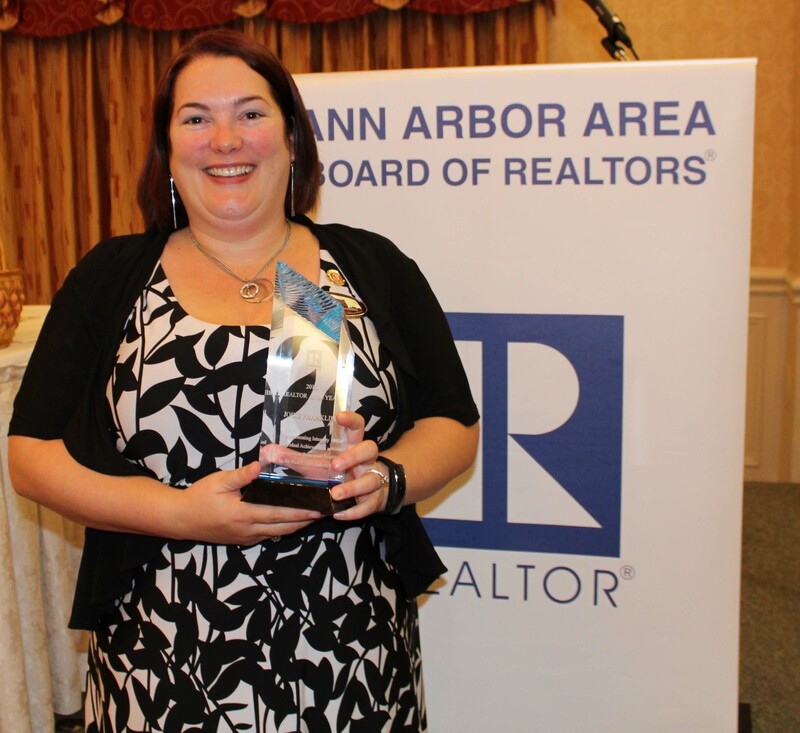 Last month, the Ann Arbor Area Board of Realtors named Jodie Franklin of Berkshire Hathaway HomeServices Snyder & Company, Realtors®, Realtor of the Year. REALTOR® of the Year, Jodie Franklin. The Realtor of the Year Award is the highest honor bestowed upon a Realtor by their peers. It stands for integrity, leadership and service to the general public. Realtor Spirit: Real estate professionalism, adherence to the laws, regulations, and code of ethics. Activity in Civic Affairs: Activities in local groups, community, political, etc. Activity in Local Association: Activities for education, events, committees, programs, etc. Activity in State Association: Activities for legislative and participation at conferences. Activity in the National Association of Realtors®: Activities for institutes, societies, participation at conventions. Business and Education Experience: Public recognition of business conduct, service to clients, effective advertising programs, etc. Franklin is currently a Board of Director for the AAABOR, Chairman of the Education Committee and Young Professionals Network within AAABOR, and sits on the MLS Committee and County Outreach/Placemaking Task Force for AAABOR. Franklin accepted her award on September 22 at AAABOR’s General Membership Meeting at Kensington Court Hotel. In addition, by earning the title of AAABOR Realtor of the Year, Franklin is nominated for Michigan Realtor of the Year.